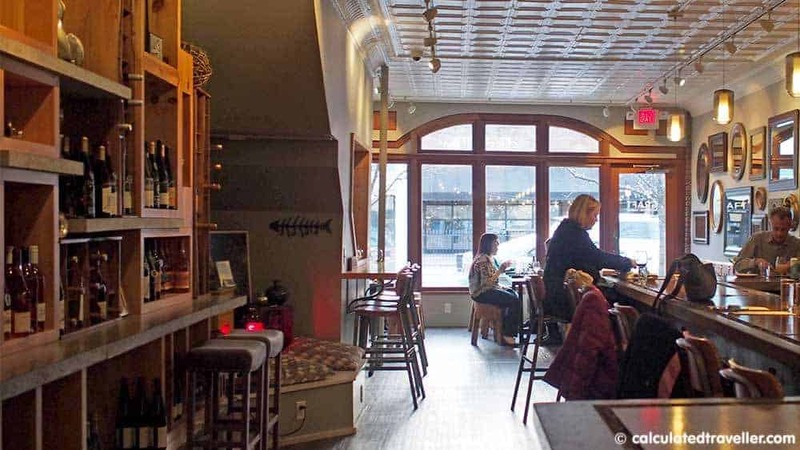 In the small town of Watkins Glen in the Finger Lakes region of Upstate New York with a downtown of literally a few blocks, the last thing I expected to find was Graft Wine and Cider Bar. 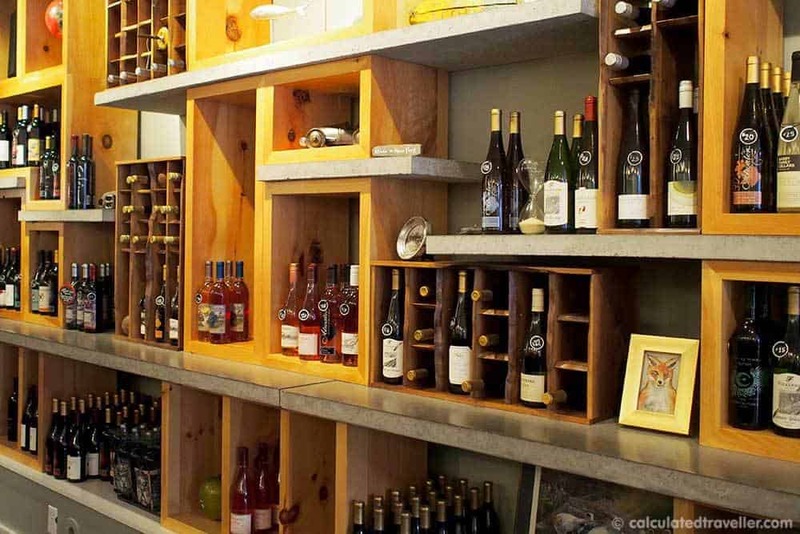 There are bars and restaurants in Watkins Glen such as The Wild Flower Cafe and the Crooked Rooster, as well as the requisite Chinese restaurant, ice cream shop and pizza joint but a fine dining wine and cider bar – no that’s entirely unexpected. 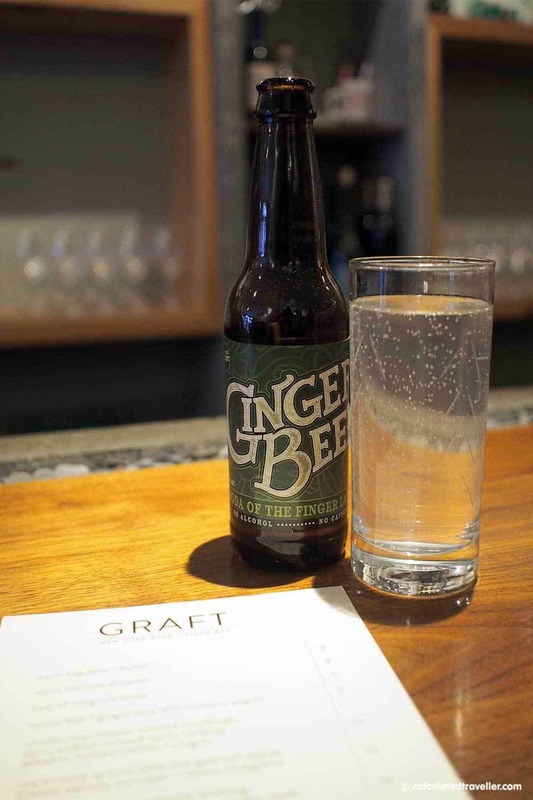 Graft Wine and Cider Bar is not posh. There is no hostess to seat you and no dress code required, and that is what makes it perfect for a casual, relaxed evening out with good food and good friends. The atmosphere and decor is relaxed, and elegant in style but with a quirky, unexpected side to it. Look around, and it’s like a childhood game of Eye Spy – Eye spy with my little eye a little plastic shark toy in the stones of the bar… or perhaps a small robot on the shelf of the bar. These little secret finds are hidden in plain view and make me feel that there is a joke at hand. It adds to the charm of Graft Wine and Cider Bar and these little toys hidden among the decor keeps you occupied and entertained as you look for more hidden secrets! There aren’t a lot of tables in the restaurant, but even if there is a seat by the window available, I suggest you sit at the bar as we did. Bar seating adds to the small town charm and the overall experience of dining at Graft Wine Bar plus, that’s where you’ll get maximum face-time with the excellent, friendly staff who proved to be thoroughly capable and willing to suggest wine pairings or offer menu suggestions. 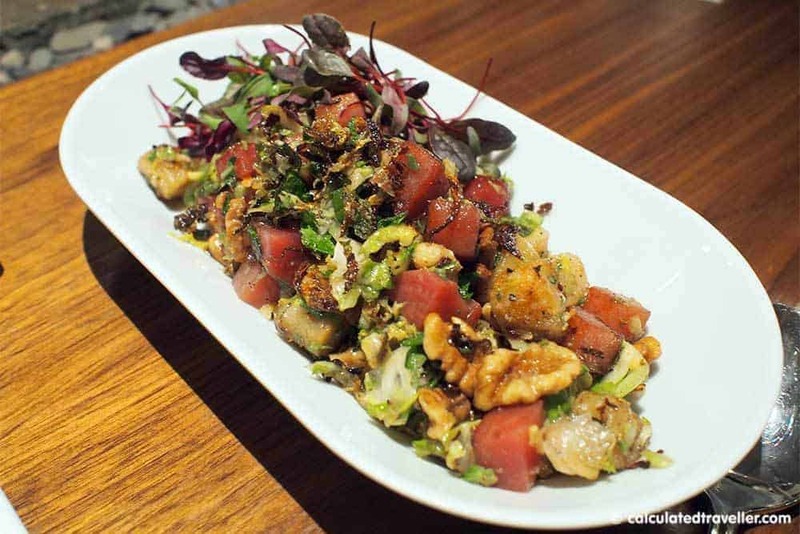 The menu changes regularly with availability, season and the whims of the Chef, and that’s the sign, in my opinion, of a restaurant with good eats. – When in Rome or this case Finger Lakes New York there is an entire wine region with a variety of local wines, beers and ciders at your disposal but in my case, I opted to go alcohol-free and tried the local Ginger Beer; full of flavour, and a perfect booze-free alternative. – Freshly baked and comforting this baguette is just as it should be with a crusty exterior and soft interior. 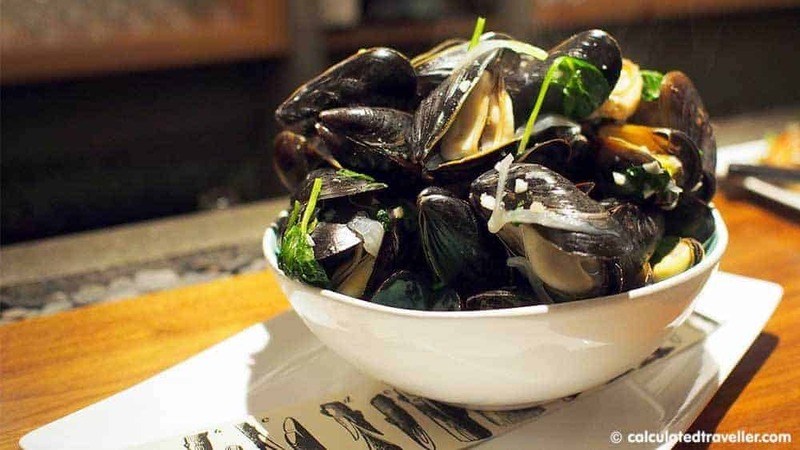 Perfect to pair with mussels so that you can soak up the delicious sauce. – Another big hit on my list, these oysters were rich and creamy with that touch of smoke from the bacon. 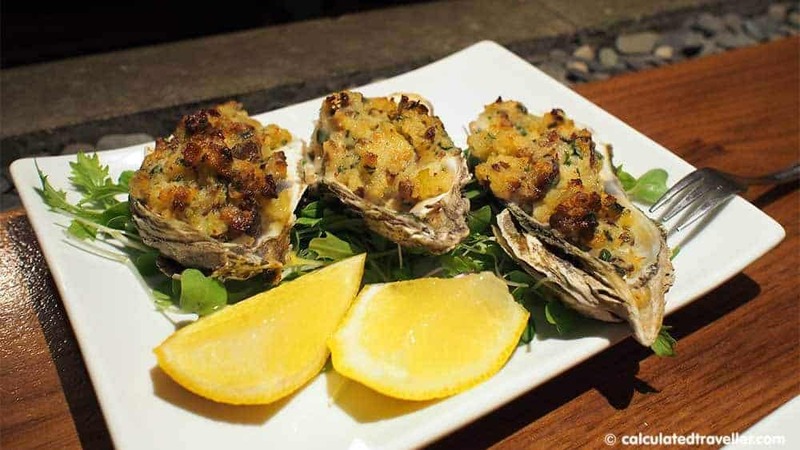 A perfect meal starter or go all out and order more oysters and make this your meal. – Fragrant and comforting. I must admit that we ordered too much food and tried as we might, we could not finish this entire dish. My suggestion is that you order this one first to ensure you are able to eat the whole plate because you are going to want to complete every single morsel. As mentioned, make sure you order the baguette for dipping into the coconut milk broth sauce. – All I kept thinking while eating this healthy dish was “where have you been all my life?” Perfect for the vegetarian, this salad is ideal for sharing, but you might want to be greedy and keep it all to yourself (the thought did cross my mind). The gnocchi was pillow tender and complimented well with the earthiness of the beets and brussels sprouts. Did I mention how delicious this was? 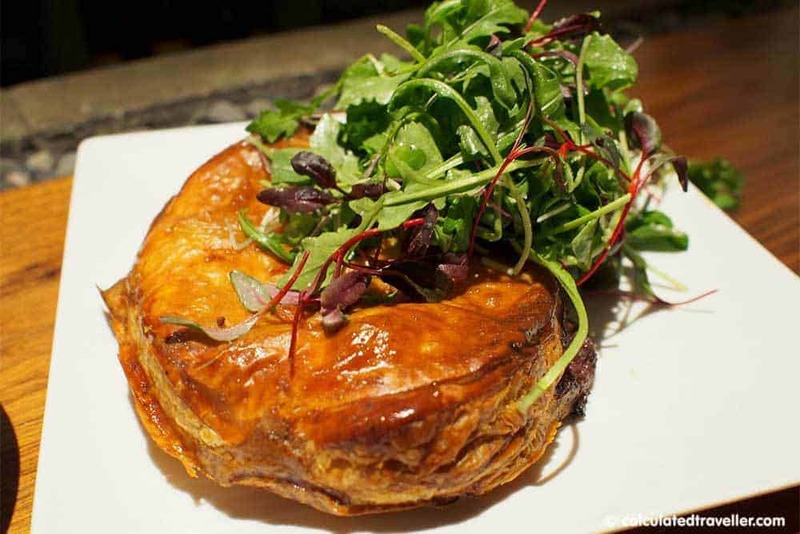 – Off the chalkboard at the back of the room, this special of the day was pure comfort food of local lamb shoulder, mushrooms and rosemary wrapped in puff pastry. As you can well imagine, this dinner for two did not allow our stomachs to order dessert, but next time I’m in town I’ll plan ahead and save room for the house-made pie of the day because I’m sure it would be outstanding. 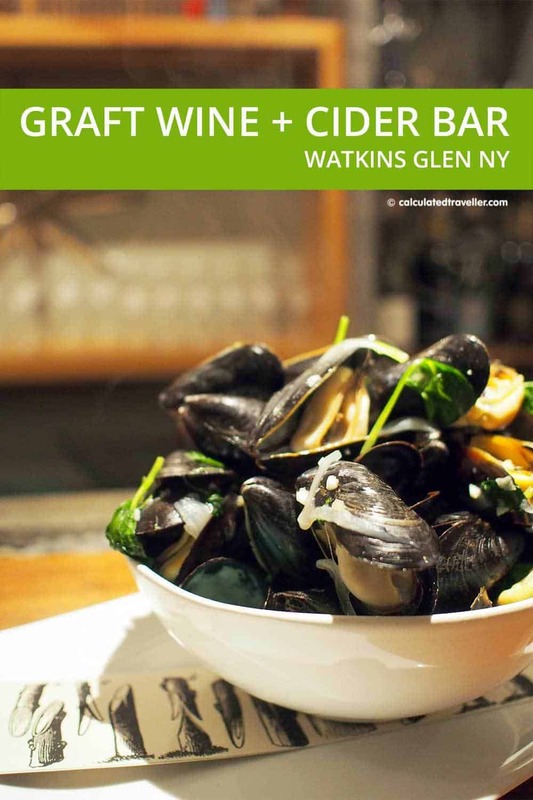 Looking for a gourmet meal, friendly staff and a delightful evening out when in Watkins Glen New York check out Graft Wine and Cider Bar — you might find me sitting at the bar eating some oysters! 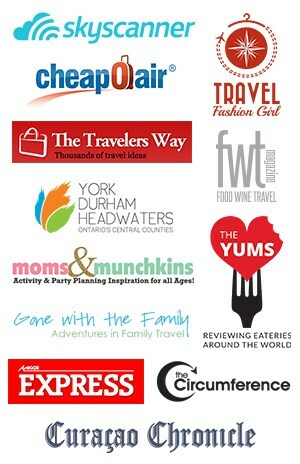 Read more reviews of Graft Wine and Cider Bar on TripAdvisor. We stayed at the Watkins Glen Harbour Hotel and found it lovely, comfortable and convenient. Stay tuned for a feature article of our stay soon. 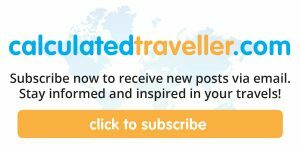 In the meantime, read about the hotel on TripAdvisor. Travel assistance was provided by Visit Rochester. All opinions expressed are entirely my own.